The space, a former storage warehouse for a candy vending company, is being outfitted with a full kitchen. Miss Rachel’s Pantry is moving on up. Almost exactly three years after opening the doors to her petite vegan kitchen on West Passyunk, Rachel Klein is relocating within South Philadelphia, to 1938 S. Chadwick St., less than three blocks away. Set behind a baby-blue facade and glass-paned garage door, the location – just off 17th and McKean Streets – will provide an upgraded environment (and larger kitchen) for her Saturday night farmhouse-table dinners, plus allow her to set up a small retail market at front. It also will allow her to expand her off-premises catering. The space, a former storage warehouse for a candy vending company, is being outfitted with a full kitchen. When she reopens (late June is the target), Klein will resume her weekly communal dinners – six animal-free courses for $60, including tip – beneath a crystal chandelier at a reclaimed wood table surrounded by elegant, antiqued-bronze seats. At the market, grab-and-go selections will include sweet and savory pastries (those in search of vegan sticky buns are in luck), house-made cheeses (truffle-black pepper cultured cashew, tofu feta), soups, salads and spreads. Most items will be well under $10. Tea and coffee will also be sold (each cup will come with an egg-free meringue), but Klein describes the drinks as an enhancement, not her focus: “We don’t want to be a coffee shop.” The market will be open 7 a.m. to 6 p.m. Friday, and 8 a.m. to 3 p.m. Saturday and Sunday. As her business grew, Klein had been considering a move to East Passyunk, but high rents and complicated lease agreements had her rethinking. 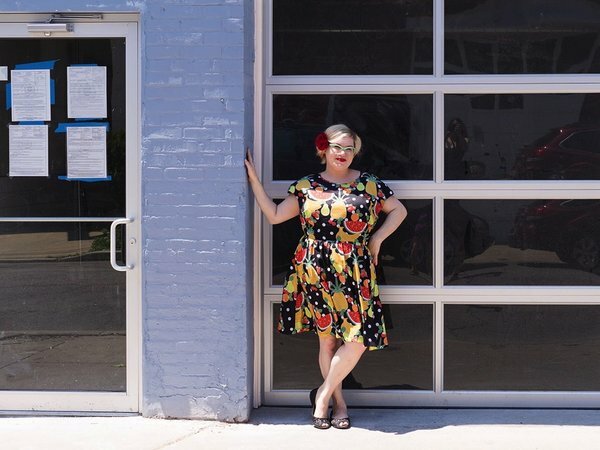 She credits developer John Longacre – who owns the nearby South Philadelphia Tap Room and Point Breeze’s American Sardine Bar – with suggesting the Pantry’s new home. While the neighborhood – known as Newbold – is still mostly residential, it has potential; at least two new (as yet unnamed) food and drink projects are slated to open there soon.